It should come as no surprise that the stress of divorce adversely affects the health and well-being of anyone who has gone through the process. From the emotional trauma of ending a marriage to lengthy court battles that cost a fortune, divorce takes a toll on the body and mind. However, men need to realize they are at a much higher risk of developing long-term health problems, and that divorce increases the rate of early mortality by up to 250 percent. While it is impossible to take all of the harmful health effects of divorce out of the equation entirely, knowing they exist can help you become more cautious and take extra steps to prevent them from becoming a major issue in the future. 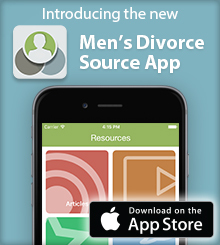 Numerous studies have shown that men have higher risks of both mental and physical health problems following a divorce. These include greatly increased rates of cardiovascular disease, hypertension, depression, suicide, substance abuse and even cancer. While some of these factors may be connected, the correlating element when compared against married men appears to be the stressors related to divorce. Many of these may be unavoidable, as it is difficult to go through a trying ordeal without feeling the negative effects. Having your life uprooted, finances devastated, children taken away and future left uncertain (at best) is enough to leave anyone feeling hopeless and lost. Men are much more likely in this state to turn to alcohol, cigarettes and other high-risk behavior to help cope with their problems. It is easy to lose the motivation to eat right, exercise and generally take care of yourself when life seems to keep kicking you when you’re down. It’s far easier to adopt a, “what’s the point?” attitude. Though our culture reinforces that men must have thick skin and deal with their problems on their own, this attitude is completely detrimental to the overall well-being of men going through such a difficult period in their lives. Letting these symptoms linger and grow is very dangerous, and more men need to seek help in dealing with the physical and psychological trauma of divorce. First of all (and this is repeated over and over for good reason), you should not attempt to get through divorce alone. One of the biggest differences between men and women is that men are much more likely to try and deal with their problems alone. They often do not have nearly as large of a support group, including friends, relatives and professionals, to help them get through the difficult times. Holding in your problems may be the “manly” thing we are taught to do growing up; however, it’s also a good step toward a shorter life. Bottling everything inside is a great way to begin the spiral towards depression, which can lead to many of the other very serious and life-threatening conditions, such as substance abuse, high blood pressure and suicide. Take care of your mental health by talking with somebody about your problems. Friends are good and your support structure should include anyone willing to help, but don’t forget that therapists exist to help people through difficult times and can be very effective at working with you through the complications of divorce. Additionally, married men are much more likely to visit the doctor when they are sick and for regular preventative care. Remembering to go in for a checkup every year won’t kill you and very well may save your life. You might be able to catch the signs and symptoms of serious health problems, perhaps expedited by the stress of divorce, before they become life-changing. A responsible man really shouldn’t need a wife prodding him to go get checked out if something doesn’t seem right. It’s hard to stay in denial when so many studies have come to the same conclusion: Divorce not only impacts your life financially and emotionally, but also makes you more prone to physical health problems as well. While the implications of divorce just keep getting worse and worse, understanding and planning for these complications ahead of time can make a huge difference. If you are conscious of these facts while you enter into this tumultuous event in your life, you can prevent many of the issues from becoming serious. See a psychologist the moment you think you may be feeling depressed, avoid the fatty cheeseburgers and pizza for every meal, get some cardio in regularly, put down grandpa’s cough medicine and don’t forget your yearly checkup. I know the health of your prostate might be the last thing on your mind during the months of draining divorce negotiations, but remembering that the little things can can help catch minor problems early and prevent them from turning into life-threatening afflictions. Your ex may take your home, your kids and half your retirement in the divorce settlement — but don’t let her take years off your life as well.